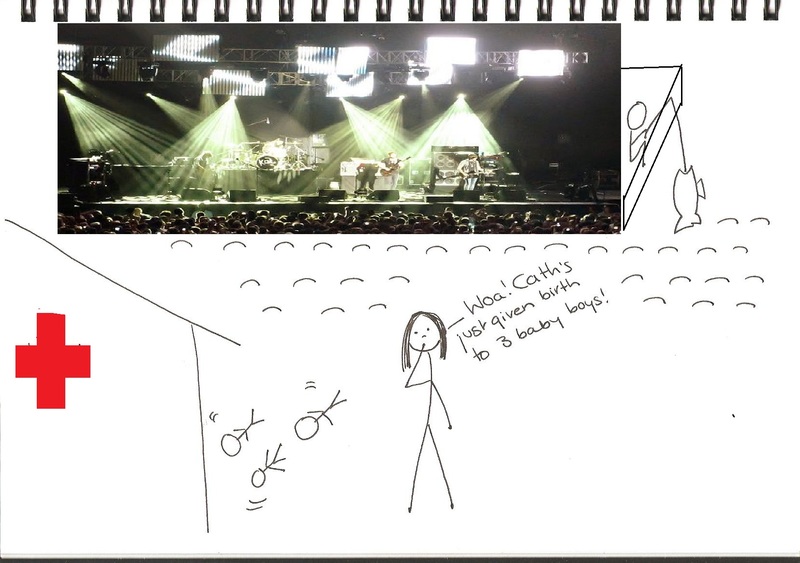 Photo of Kings of Leon in concert by FromtheNorth (because I didn’t go to the concert, so wouldn’t know how to draw it). Posted in Celebrities, Guest submission, Pregnant and tagged babies, concert, dream, giant fish, Kings of Leon, twins. Bookmark the permalink. 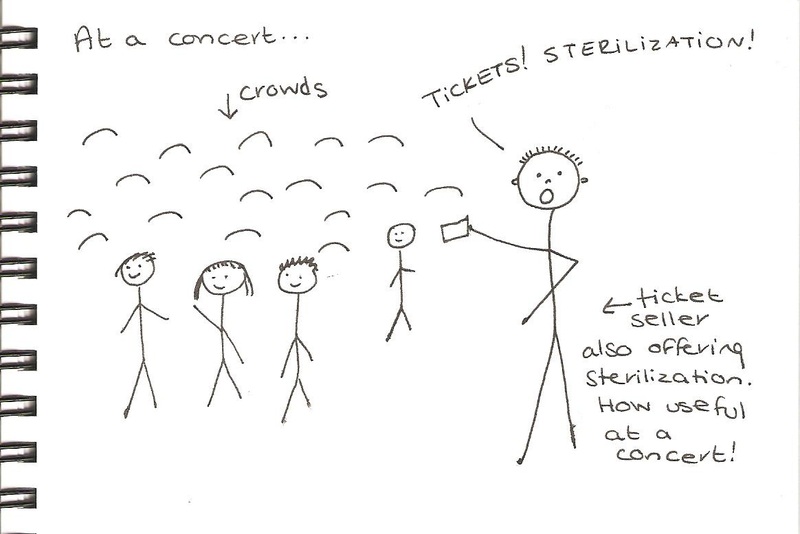 How curious – you could get sterilized at a concert! Posted in Uncategorized and tagged concert, dream, sterilization, ticket seller. Bookmark the permalink.